Kotka is a city and municipality of Finland.Kotka is located on the coast of the Gulf of Finland at the mouth of Kymi River and it is part of the Kymenlaakso region in southern Finland. Start off your visit on the 19th (Fri): admire nature's wide array of creatures at Maretarium, take in nature's colorful creations at Sapokka Water Garden, then take an in-depth tour of Langinkoski Imperial Fishing Lodge Museum, and finally examine the collection at Maritime Centre Vellamo. 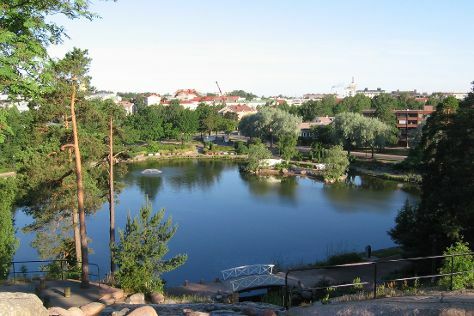 For more things to do, reviews, traveler tips, and tourist information, refer to the Kotka tour itinerary planning site . The Route module can give you travel options from your home to Kotka. Expect a daytime high around 8°C in April, and nighttime lows around -1°C. 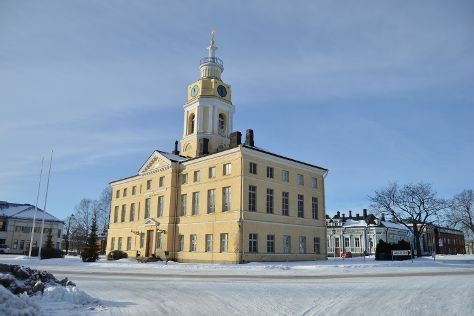 Cap off your sightseeing on the 20th (Sat) early enough to go by car to Hamina. Hamina is a town and a municipality of Finland. Start off your visit on the 20th (Sat): wander the streets of Hamina Old Town, expand your understanding of the military at Main Building of Military School, take in the spiritual surroundings of Saint Peter and Saint Paul Cathedral, admire the landmark architecture of Hamina Fortress, then appreciate the history behind Statue of Varvara Shantina, and finally admire the landmark architecture of Hamina Town Hall. To find ratings, where to stay, maps, and other tourist information, read Hamina day trip planning tool . Hamina is just a stone's throw from Kotka. April in Hamina sees daily highs of 8°C and lows of -1°C at night. Finish your sightseeing early on the 20th (Sat) to allow enough time to travel to Loviisa. 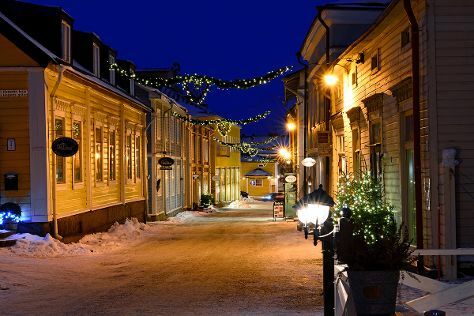 Loviisa is a municipality and town of inhabitants on the southern coast of Finland. Start off your visit on the 21st (Sun): tour the pleasant surroundings at Runeberg Park, then contemplate the long history of The Runeberg Home, then don't miss a visit to Porvoo Old Town, and finally pause for some serene contemplation at Loviisan kirkko. For traveler tips, where to stay, ratings, and other tourist information, refer to the Loviisa online tour planner . Drive from Hamina to Loviisa in an hour. In April, daily temperatures in Loviisa can reach 8°C, while at night they dip to -1°C. Finish up your sightseeing early on the 21st (Sun) so you can travel back home.